This paper addresses the definition of independence concepts in the context of similarity relations. After motivating the need for independence concepts basic ideas from similarity relations and their connections to fuzzy systems are reviewed. 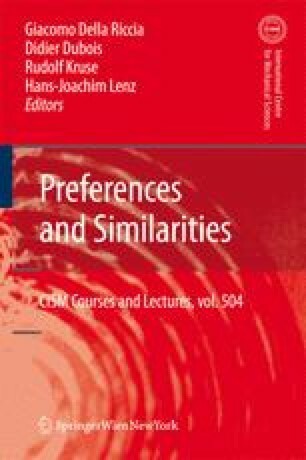 Three different independence notions are discussed and investigated in the framework of similarity relations. The results show that there are significant differences for independence concepts in a probabilistic setting and in the framework of similarityh relations.